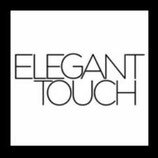 "I'd just like to say thank you as the nature of freelance means you rely so much on the speed and accuracy of PR help. Roy is always very helpful and friendly on the phone and kept me up to speed with releases." "Thank you for your support in this! We wouldn’t have so much to show for, if it weren’t for you and your team." Lovely working with you and thanks for all the support!" 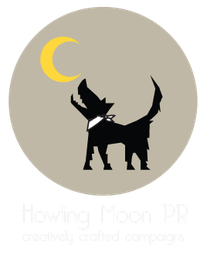 "We are very proud to work with the fabulous Howling Moon PR who do a fantastic job of handling our media enquiries"
"My feedback for Howling Moon is that you guys aren't just a PR agency. This is an agency that wants to work with small businesses as partners to help them grow and flourish. Howling Moon are supporters of small businesses - definitely not the usual run of the mill agency where it's based on time versus money." "We have been very happy with your services & would not hesitate to recommend Howling Moon." "Thank you for the great PR work you have carried out for us, since August 2015! I shall definitely recommend you to prospective clients." "We have been delighted with the press work that Roy and yourself have been able to achieve"
“When in need of a PR consultant, we invariably approach Howling Moon for a solution that works for our small business. Roy’s approachable manner means he’s particularly easy to work with and his knowledge and experience of the Fashion & Interiors industry place him in a great position to deliver the best possible results for our campaigns"
"I have been more than happy with all the work you have put in and look forward to working with you again soon." "It was a pleasure to work with you and I have only positive feedback - I have press coverage and that is exactly what I asked for." "As a brand new brand, getting help with PR was quite daunting, but Roy Mouncey has been brilliant to work with and has absolutely done all that we agreed to. His manner is both professional and friendly, and I get the sense that he has a real interest in the brands that he represents. I highly recommend him if you want to get your products noticed but don't know how or don't have the time to do it – he makes it really easy." "Good service - did exactly what I asked for at the agreed price. Easy to deal with." "We'd be happy to consider working with you again in the future." "I'm happy with the service I received. I'm pleased with the press articles and exposure the products got. I'm hoping to come back to you at some point and continue where we left off." "We have found Roy to be a thoroughly conscientious and innovative contributor to our brand development. He has understood our needs and requirements, and pinpointed the relevant consumer and press marketplace most suitable for our company. He has gained considerable exposure for our brand, our policies and our products, and shown with his focused approach, and idiosyncratic style that he obviously has a good understanding and working relationship with the press/publicity machine. Roy has contributed to our styling and presence at various international trade events, showing a flair and creativity with the display pieces he has created for us." "I have had the pleasure of working with Roy on two occasions spanning several years. I have always found him to be honest, helpful and diligent in the way that he represented both the Company and the brands I have worked for during that time. His attitude is friendly without being over-familiar - if he says he will do something it is carried out efficiently and without fuss. I have found him sensitive to the needs of his clients both in understanding the project brief and in assisting wherever possible to ensure that a project runs smoothly and well."